Decimal odds, also known as European odds, are popular because of their simplicity. They’re shown as two figures separated by a full stop. For example: 1.25, 2.30 or 6.4. Punters use decimal odds to work out which price is better value for their bet by multiplying their chosen stake by the decimal price (£10 x 2.30 = £23). Calculated returns include the bet stake. Price – allowing you to calculate exactly how much money you will win if your bet wins. Probability – the likelihood of your chosen bet actually winning. But unlike fractional odds that show the potential returns without your stake, decimal odds represent the return from your bet including your stake. An alternative format to decimal odds are fractional odds. There’s no mathematical difference between the two types. Instead, it’s just a different way to display the same information. Some people prefer decimals while other prefer fractions. To learn more about how fractional odds work in betting click here. Odds are simply a reflection of the implied chance, or likelihood, of the outcome of an event. Let’s look at tennis, where Andy Murray is playing an early round match against a relatively unknown player. The bookmakers decide that Andy has an 80% chance of winning the match, therefore giving his opponent a 20% chance. Although it’s easy to change all your online bookmakers to display the odds as decimals, there may be times when that’s not an option. It’s useful to know how to convert fractional odds to their decimal equivalent. Fortunately, it’s very easy too: just divide the 1st number by the second and add 1. Matched betting is a clever way to turn bookmakers’ free bets and promotions into real money. It involves odds and placing bets, but it’s not gambling. The process of matched betting means that you eliminate the risks usually associated with gambling. And you don’t have to do it on you’re own. You don’t even need to know anything about sport! 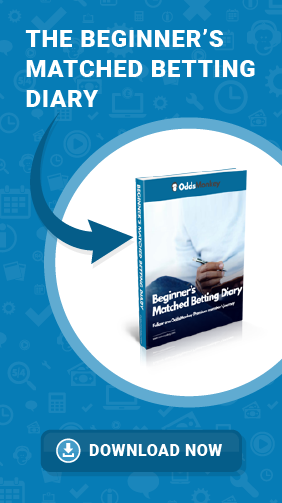 Here at OddsMonkey, we have a range of software, services and support matched betting tool called the OddsMatcher. Using decimal odds, it finds the best matches (between back and lay odds) and helps you extract real value. Oddsmatcher is the main tool in any matched bettor’s arsenal and does all the hard work is done for you! It’s one of the best ways to help you release those free bets and bonuses and make some extra cash. Why use decimal odds in matched betting? It’s much easier to compare the closeness in the odds for matching those bets. The higher the odds, the less the chance of the event occurring. The lower the odds, the higher the chance of the event occurring. So, to wrap up, decimal odds are an easy way to compare the odds at both the bookmaker and the exchange to find the best matched bets.